This training is one of the best...."life-changing"
"Understanding White Privilege: a key to cultural competence"
Living and working cooperatively in a diverse workplace or community demands an understanding of how we have been taught to see and relate to one another across Race. This session provides the framework for understanding White Privilege and our relationship to it. Participants report coming away with a deeper understanding of how to see and know what white privilege is. Presenters Nam Provost and Kevin Skwira-Brown work with higher education, nonprofit and public service agencies to build the foundation for more effective and equitable workplaces. Call or email Carl Crawford to register c.crawford@lsc.edu 733-7678. A donation of food goods or money in support of the food shelf will be accepted but not required. 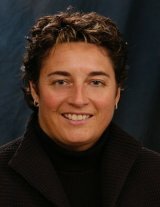 The following forum was recorded in its entirety and is the property of the League of Women Voters Duluth. 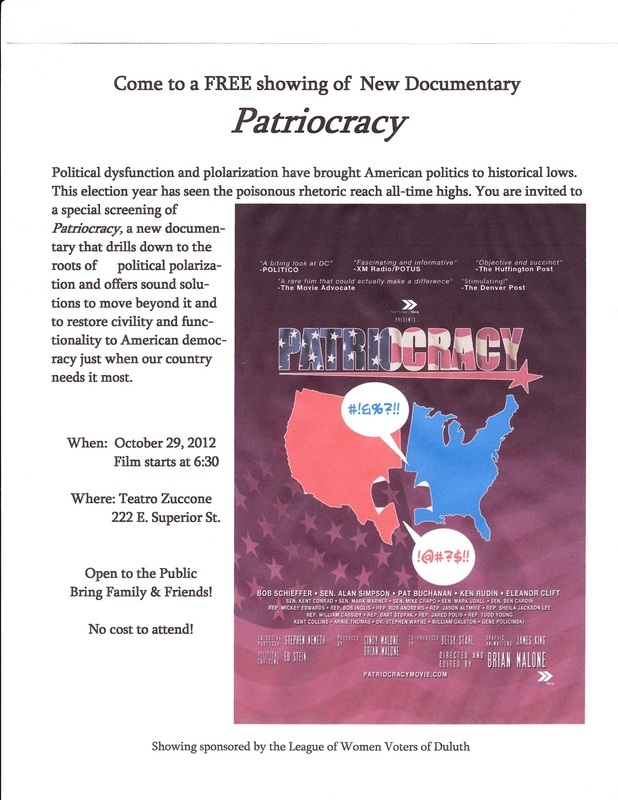 7:00 pm, Thursday, September 20, The College of St Scholastica, Science Building Auditorium,1200 Kenwood Avenue, Duluth, with free parking near the building. LWV Duluth is awaiting reply from candidate Tyler Verry. The candidates from District 7B House race will be asked to attend a separate forum in October to allow all write-in candidates to attend the forum. To ensure non-partisanship, LWV Duluth will hold a forum only if candidates are represented from both political parties. The format for the evening consists of a series of questions posed to each candidate some of which have been prepared prior to the forum and others which will be provided by the audience that evening. The public may also submit questions up to a day prior to the forum. Call 724-0132 to leave a question on voicemail. 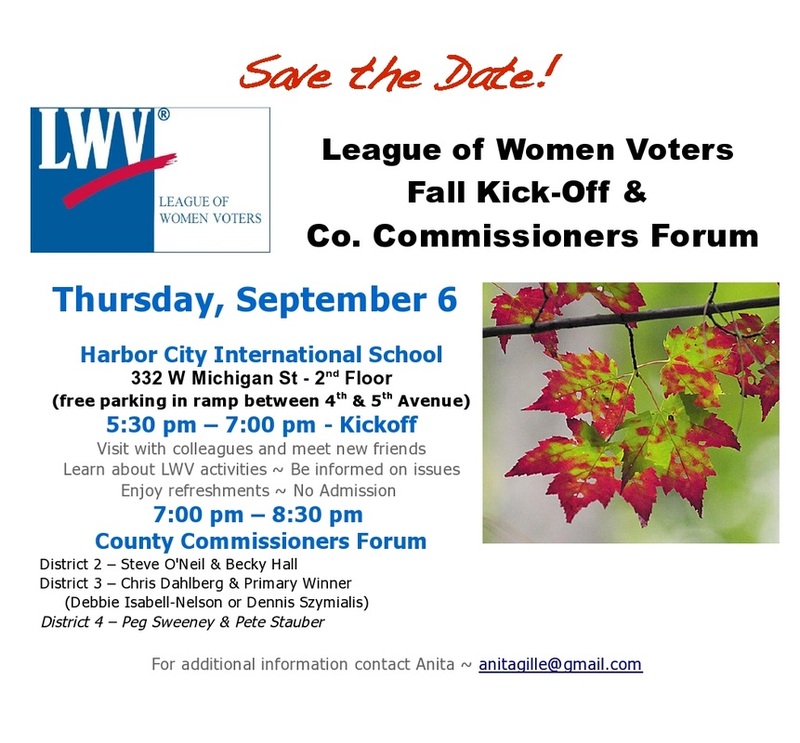 LWV Board Member, Anita Gille, commented: "The League forums are a non-partisan format to encourage participation from all candidates. They offer the public an excellent opportunity to make informed decisions on election day”. 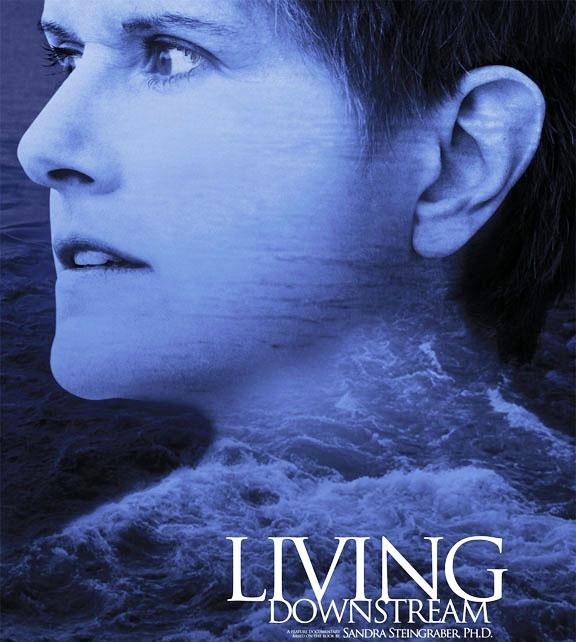 The forum will be recorded in its entirety and available for viewing on-line after the forum at www.lwvduluth.org. The League of Women Voters is a nonpartisan political organization that encourages informed and active participation in government and influences public policy through education and advocacy. The forum is being co-hosted by the Alworth Center for Peace & Justice at the College of St. Scholastica. 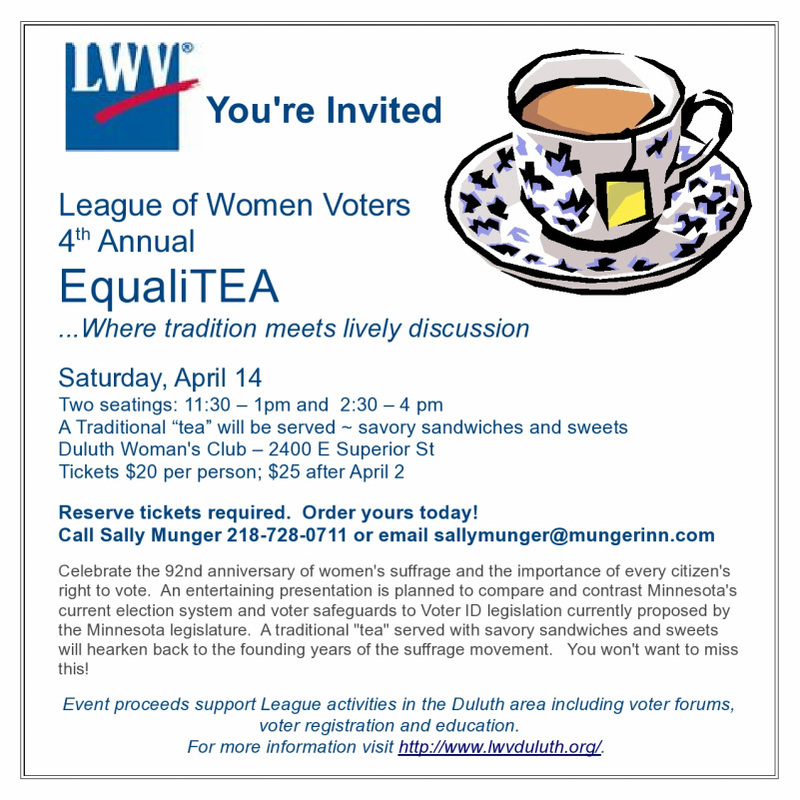 For more information, visit lwvduluth.org or contact Anita Gille at anitagille@gmail.com, 428-7232. The Unfair Campaign encourages community dialogue and discussion to look at causes and solutions of racism in our community. For more information about the Campaign, you can visit its website at: www.unfaircampaign.org. Our local League will host a meeting for League members to promote dialogue and understanding regarding racism and white privilege. A specific date, time and location will be sent to you via the League list serve, our newsletter and our website. Please watch for the details of this meeting, so you can be a part of this important discussion. For more information call the League office at 724-0132. The Unfair Campaign is sponsoring a number of events during Febuary and March to promote community dialogue and discussion. The following voter forums have been recorded in their entirety and made available as a service to the public. These non-partisan forums give voters the opportunity to hear candidates discuss important issues face-to-face. All forums are free and open to the public. influences public policy through education and advocacy. 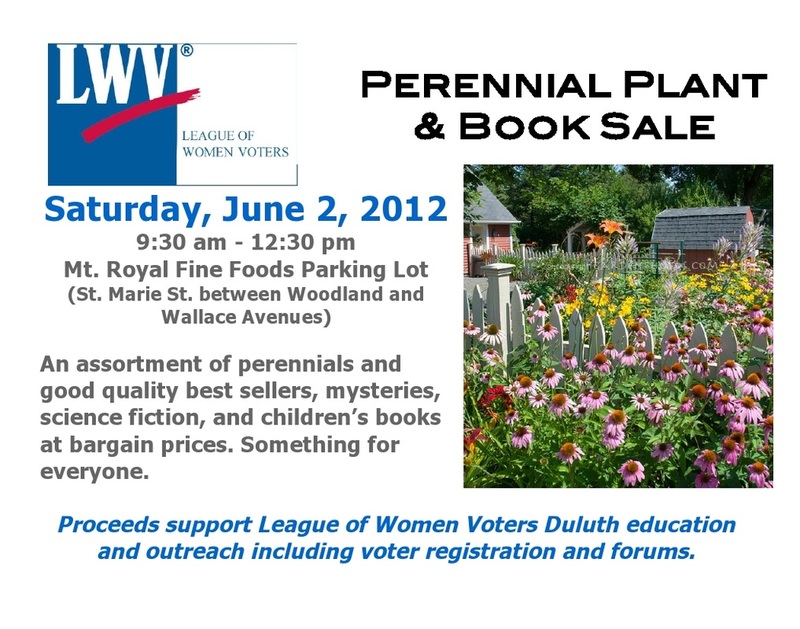 For more information, visit www.lwvduluth.org or contact Anita Gille at anitagille@gmail.com - 218-428-7232. As we gear up for the 2011 election season, let’s review the basics of candidate forums/debates, League of Women Voters style. Are you new to Voter Services? Here’s the place to learn the ropes. Been around awhile? Share your Voter Service experience to help others avoid problems, as well as refresh your memory of the ins and outs of hosting forums. Thinking you might like to moderate a forum? Here’s the place to gain knowledge and confidence. Candidate Forum training will review the non-partisan policy, effective procedures, and various aspects of forum organization and sponsorship including: invitations to candidates, criteria for inclusion, location arrangements, greeters, timers, question screeners, etc. Intensive moderator training will follow for new and continuing moderators. Center (2101 Trinity Rd). Food and child care will be provided. Pre-register by calling 218-940-3500 or emailing brassplannningteam@gmail.com, to allow planners to get a count for the food. The evenings agenda is below. region through racial equity. 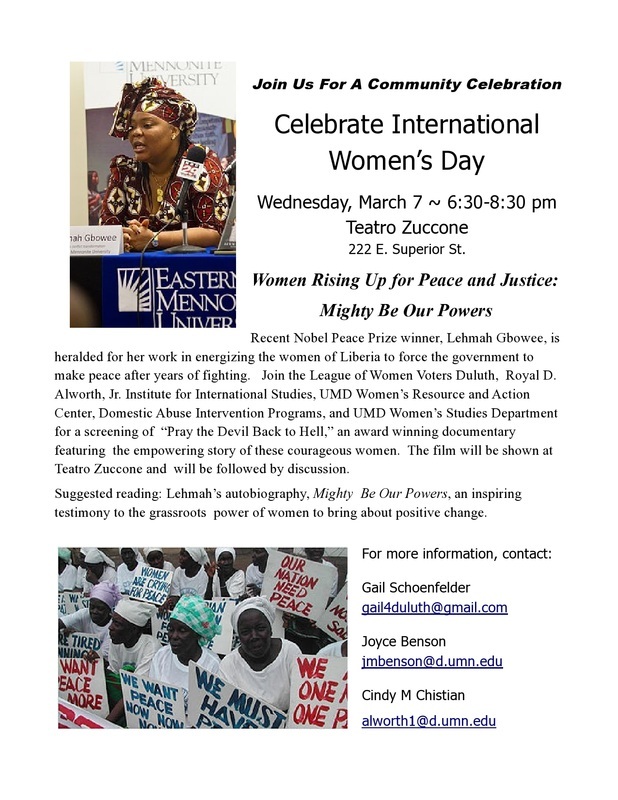 LWV-Duluth is supporting this event. 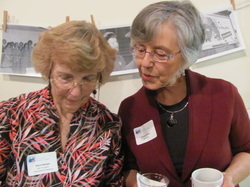 The League of Women Voters offers opportunities for personal growth, community involvement, and new friendships.